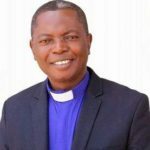 Jos (Nigeria) — The 63rd General Church Council of Evangelical Church Winning All (ECWA) has unanimously agreed that ECWA President, Rev. 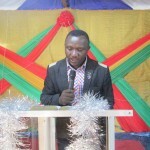 Jeremiah Gado should contest for the office of the President of Christian Association of Nigeria (CAN). The tenure of the current national CAN leadership comes to an end in June – already an electoral collage has been inaugurated. A communique issued in Jos, on Friday, at the end of the Council meeting, signed by Rev. Jeremiah Gado and Rev. 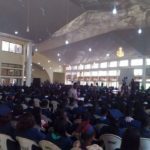 Samuel Kunhiyop, the Church’s President and General Secretary respectively, noted that the ECWA/TEKAN bloc of the Association, which ECWA belongs to, has never occupied that seat. Having observed the rotational policy of CAN, which leaves only ECWA/TEKAN and OAIC blocs to contest for the office, the council says, Rev. Gado should vie for the seat. The Council also applauds Nigerian Government for its continued fight against corruption, asking it to fight to a logical conclusion. While commending Nigeria for weakening activities of Boko Haram insurgents in the northeast, the council decried the government’s inability to rescue and reunite Chibok girls, kidnapped over two years ago, to their families.